In the universe, there are things that are gnome, and things that are un-gnome. As we know, there are known gnomes; there are gnomes we know we know. We also know there are known un-gnomes; that is to say we know there are some gnomes we do not know. 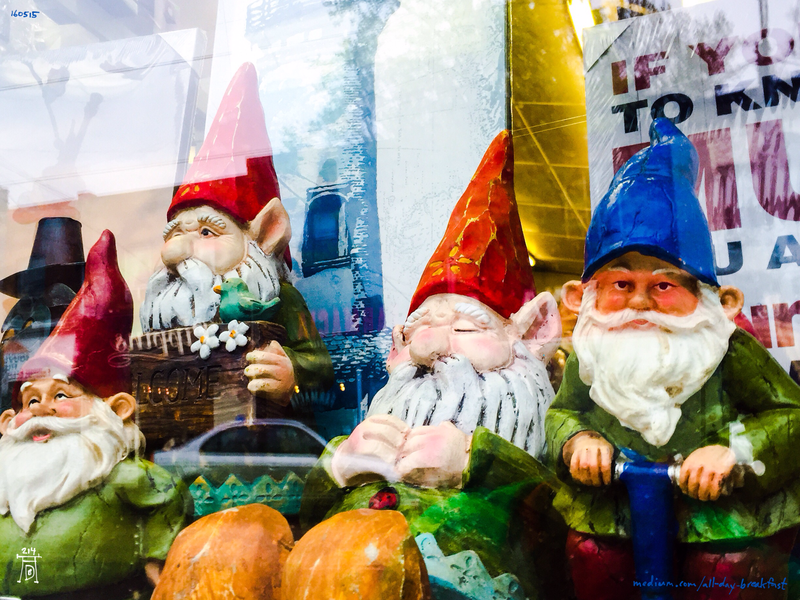 But there are also unknown un-gnomes — the gnomes we don’t know we don’t know. All-Day Breakfast is a daily reflection on creativity and the human condition in the modern age. This is issue #214 of 555.